We're excited to tell you we're working on a range of Spaniel Assist merchandise. All profits go to Spaniel Assist. Thanks for your support! 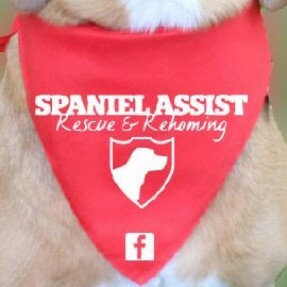 Head over to the Prancing Dog Company to order one of our wonderful dog bandanas.